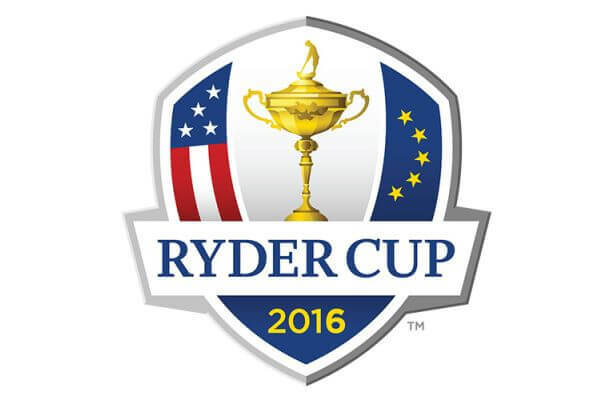 This week, the golf world will be focused on the Ryder Cup which occurs every two years. Europe have had a stranglehold on it for the last three tournaments, winning it every time. In 2014 it was a very dominant 16.5-11.5 victory for Europe. The United States areb ack in home ground this year with the tournament taking place at the Hazeltine National Golf Club in Minnesota, which last hosted a major event in 2009 which was the PGA Championship. Darren Clarke is the captain for Europe while Davis Love III is the captain for the USA. I’ll be honest – the Ryder Cup is one of my favourite tournaments in golf and I always find it a blast to watch. 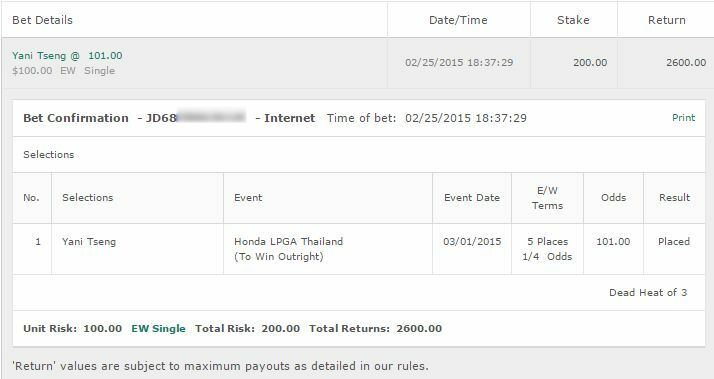 It’s one of those tournaments where any bets I make are not really made with the intention to win money. If I do then great – but it’s more just to give me something to cheer for along with watching some terrific golf. 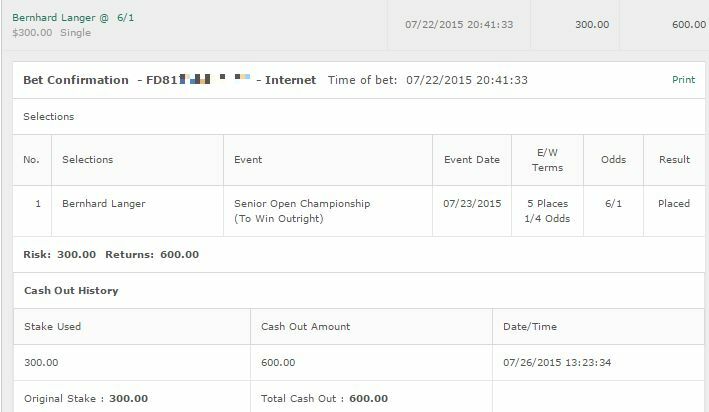 Like I said I generally bet casually on the Ryder Cup. 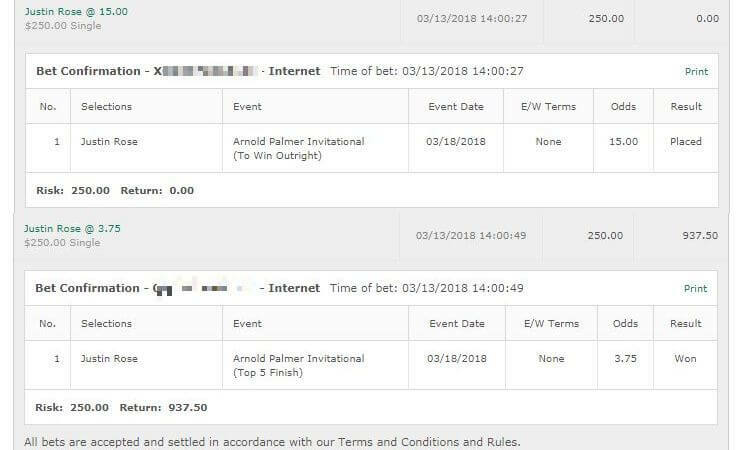 So I’d recommend quarter or half units of what you usually bet. Europe To Win: The price of 15/8 is a great price for Europe and one I have to get behind. Yeah USA have Johnson and Spieth but Spieth is struggling a bit and I have to wonder how long DJ can keep going with this form. I think he will struggle here. I don’t think we’ll see a dominant victory but I do believe it will be close enough that Europe to win at 15/8 is a nice price. Westwood Top European Wildcard: A nice price on Lee Westwood at 6/4 odds to be the top European Wildcard above Kaymer and Pieters. Only 9 losses in 32 foursomes/fourballs matches for Westwood, and with the amount of rookies in the team this year Westwood will be playing a lot. I can easily see him picking up 3 points on Friday/Saturday. Europe Top Team Points Scorer: I’m betting Justin Rose the 2nd favourite at 11/2. I’m not fully convinced on Rorys play as we know how erratic he can be. Rose is more composed, had 4 points last year, is on fire with the gold medal and always loves this tournament. 10 points in 3 cup appearances makes me happy with this pick. That’s my Ryder Cup picks for the week. Enjoy!